I’m tired of hearing the term “driver shortage”! I’ve been listening to this now for 3 decades or more and frankly, myself and just about every other veteran driver, knows that the driver shortage has been just a way to lure many into an industry which has no intentions of doing what it takes to retain them as a valuable or respected employee. Here’s a throwback about the trucker shortage. Has anything much changed? In the past, claiming shortage allowed for a huge influx of applicants, hoping to earn the falsely advertised “$100,000/year with little training time required and only a high school diploma.” However, once lured, these new drivers realized ( after paying thousands for a CDL license) that they would only be used as a low paying “team driver”, driving with a trainer ( many times with little driving experience themselves), while they earned 20 cpm. Most new drivers lasted less than 1 year. 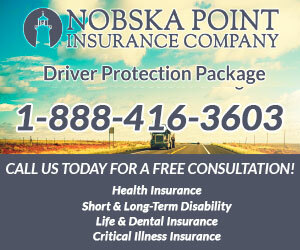 Retention of new drivers was low and turnover was high. To add insult to injury, the carriers and schools were subsidized by the government, participating as part of exploiting new driver- low wage business model. 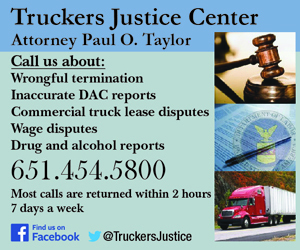 In 2007 we blew the lid off of these unscrupulous tactics with the website Truth About Trucking. Today, the trucking industry continues to have an almost a 100% turnover rate. That’s a lot of people entering and then leaving the industry. So for every job, 2 people quit. Again, a retention problem, not a driver shortage problem. 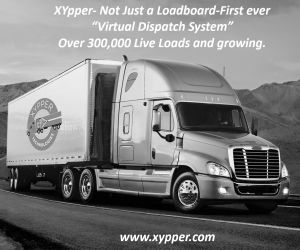 Although everyday we read about the reasons for the driver shortage in just about every trucking, business, and news outlet media, few have accurately defined the top reasons nor realistic solutions. 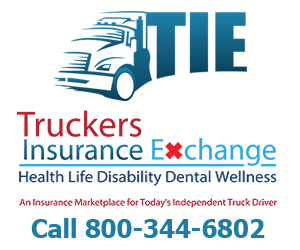 The first question that came to mind, What is the definition of a driver shortage, and who is defining it, the driver or the carrier? So who is right, the driver or the the ATA? Let’s look at the facts. We can prove that the drivers are correct as drivers haven’t received a significant pay raise in over 30 years. Yes, carriers are making an attempt to change that now, but is 5-15 cpm increase enough? I don’t think so. Here’s an inflation calculator. In 1980, the average trucker in America was making an annual salary, adjusted for inflation, equal to more than $110,000 today. Twenty-five years later, truckers make on average about $40,000 a year, working harder, longer hours, and with less job security. How can the ATA argument be correct? 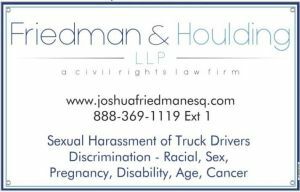 They claim that not enough qualified people are entering the trucking industry to make up for the aging trucker pool leaving. But if the turnover rate is nearing 100%, then that means there are plenty of people entering, they’re just not staying. It’s a Retention Problem. Well here’s a thought Bob, Pay them for all their time, NOT just the miles they drive, INCLUDING detention time… AND stop lobbying Congress with the Denham Amendment so you won’t have to pay them! If companies are doing “everything possible to make drivers happy” Then why has the ATA lobbied 100’s of thousands of dollars to ensure that drivers do NOT have to be paid for ALL time worked? 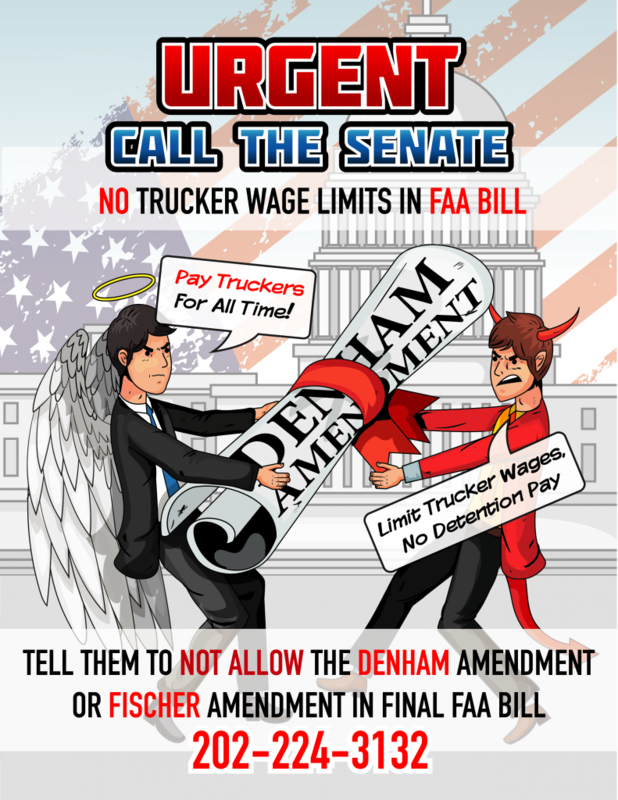 The #denahmAmendment being voted on in FAA bill ( in July or August) in Senate will do just that if allowed to be included in FAA bill..Pay drivers ONLY miles driven. This means approximately 30-40 hrs per week of unpaid time, including #DetentionTime. The pittance increase of 5-15 cpm does little to bring drivers up to 2018 wages. Recently, here’s what Chief Economist Bob Costello of the American Trucking Association (ATA) has to say ( justify) about the shortage, high turnover, and low retention rate of truck drivers. The above ATA statement doesn’t even make sense. 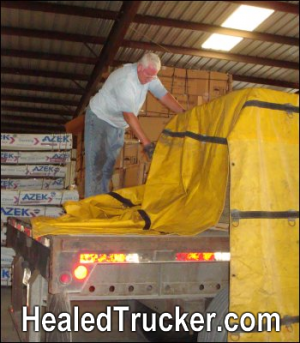 Increased freight requiring more drivers to move freight. Driver turnover is a totally different issues. One is available freight from which there is revenue to pay drivers, the other is available drivers not willing to accept conditions beneath their job duties, sacrifices, and skill. This includes low wages and lack of respect. So what is the ATA solution? Here’s one. Lure 18 year olds into the trucking industry. 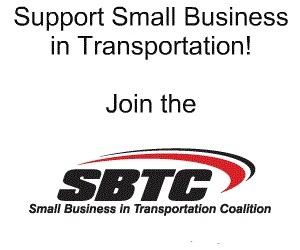 DRIVE Safe Act, H.R.5358 as one of the ways to address the driver shortage in the trucking industry-On March 21, 2018, the House Transportation and Infrastructure Committee introduced a bill that could change that. The Developing Responsible Individuals for a Vibrant Economy (DRIVE-Safe) Act would lower the interstate commercial motor vehicle driving age to 18. How do ELD’s affect the Driver Shortage? 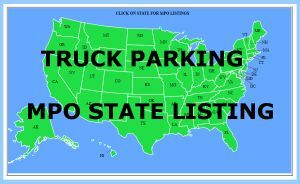 Many suggest that the ELD mandate has caused many to leave trucking, increasing the “Truck Driver Shortage”. The ELD mandate which enforces the Hours of Service rule and its much detested 14 hour clock. 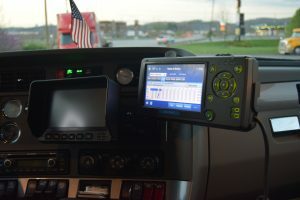 The Electronic logging device rule forces truckers to install digital devices in their semi-tractors to track their driving time, ensuring they drive no more than 11 hours a day within a 14-hour workday. Drivers must then be off duty for 10 consecutive hours. There is a problem however. SAFETY. When you pay a driver by the mile, then govern them by a clock, and then have them wait at loading docks for hours and hours without pay, you create unsafe situations. Drivers are now racing the clock to earn a living. But wait! Here’s a bill that will study that. 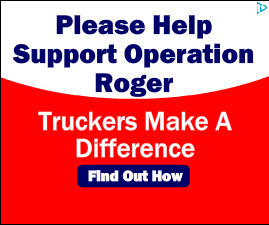 **H.R.5417 (Congressman Brian Babin) – This Act may be cited as the “Responsible and Effective Standards for Truckers Act” or the “REST Act”. 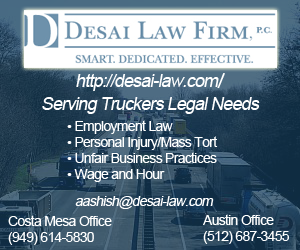 (2) no other requirements relating to rest breaks during an on-duty period, including the requirement specified in section 395.3(a)(3)(ii) of title 49, Code of Federal Regulations, apply to a covered driver. H.R. 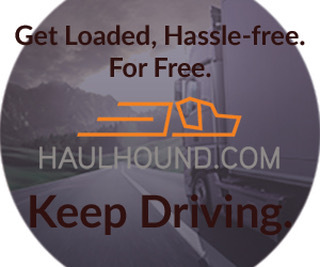 5948 (Congressman Collin Peterson) – Small Carrier Electronic Logging Device Exemption Act of 2018-To exempt motor carriers that own or operate 10 or fewer commercial vehicles from the electronic logging device mandates, and for other purposes. H.R. 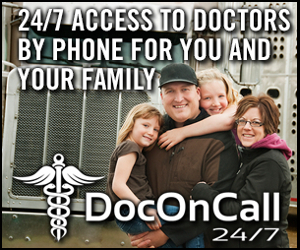 5949 (Congressman Collin Peterson) – Agricultural Business Electronic Logging Device Exemption Act of 2018. This bill creates an exception to the electronic logging device requirements for certain motor carriers engaged in agricultural business. H.R. 6178 (Congressman Rick Crawford) – “Honest Operators Undertake Road Safety Act” or the “HOURS Act”. 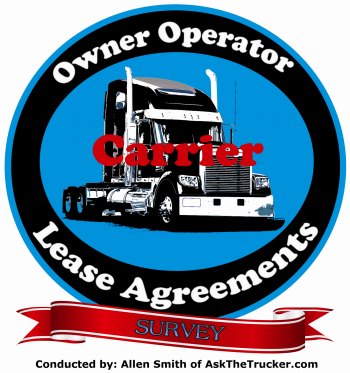 To amend the Motor Carrier Safety Improvement Act of 1999 with respect to exemptions from certain motor carrier regulations, and for other purposes. H.R. 3282– Introduced by Brian Babin R-Tex July 2017 the ELD Extension Act of 2017, to try and get some relief from the ELD mandate by delaying it for two years. 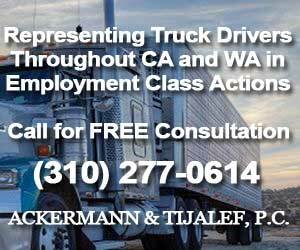 Hours of Service of Drivers: Application for Exemption; Owner Operator Independent Drivers Association, Inc.
4) Such a disdain for ELD’s? Here’s a question we offered drivers last month on FaceBook. 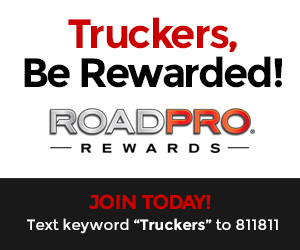 How much do you think the average OTR DRIVER should be Earning/ year? Your analysis is just plain right. Between bring driver from across the border to drive in America for less pay. And the ata. We are being screwed. With 20 years I’ve been driving all I know it’s getting worst . The ELD dose not work , as a solo driver I am losing drive time all the time just trying to get loaded. How do I make it up. Driving like a bat out of hell. I’ve never had to do this before the ELD. Now that’s all I do. I can wait to be done with trucking. The problem isn’t as much as the ELD, as it is YOUR WAGES, and how you are paid. Not only are you being paid 1980 wages, but you are governed by a clock and then paid by the mile. The ELD enforces this ludicrous scenario and the ATA cries driver shortage” in order to keep it going. The predator has become the victm and the victim continues to be screwed.